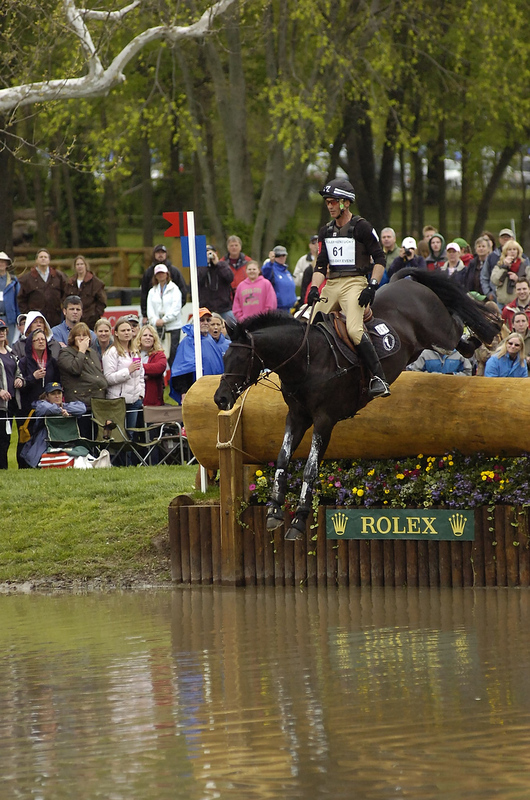 Six-time Olympian Andrew Nicholson of New Zealand is sitting in the top two spots at the Rolex Kentucky Three-Day Event going into the final phase Sunday, April 28. He’s in first place on Quimbo (38.0 penalties) and in second place on Calico Joe (40.8). Nicholson will have a one-rail margin of error Sunday over third place rider Buck Davidson (Florida) on Ballynoe Castle. If Nicholson wins in Kentucky on Sunday, the victory would put him two-thirds of the way to the $350,000 Rolex Grand Slam of Eventing. He won Burghley (England) last September. He would need to win at Badminton (England) next weekend to become the second rider to claim the prize. Quimbo is considered to be a particularly good showjumper, so he may be in good shape to take a victory in Lexington on Sunday.